IRB reviews a wide variety of research involving human subjects. FDA regulations require IRB review for all drug and device studies. Please remember to "Submit" your application once you have completed it in RSS. The changes to the Common Rule will have significant and far ranging effects on the regulation of human subject research at UNMC, Nebraska Medicine, UNO, Bellevue Medical Center and Children's Hospital & Medical Center, said Bruce Gordon, M.D., assistant vice chancellor for regulatory affairs and executive chair of the IRB, in an email to investigators Monday. 1) Changes to consent form format and boilerplate language, and including the requirement for a "concise and focused presentation of the key information" (as a two-page "Executive Summary"). 2) Elimination of the requirement for Continuing Review for certain classes of research. See more information on changes here. All new research submitted on or after Jan. 21, and any research submitted before Jan. 21 but not yet approved, is subject to the new rule. An extensively revised new IRB application compliant with the new rule, and with new consent form templates, will be available shortly in RSS. To facilitate transition to the new rule, applications already started may be continued and completed or may be transferred to the new online application. 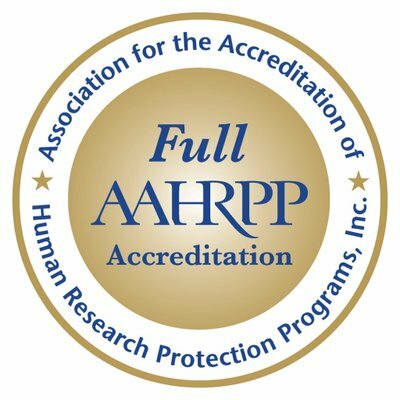 In accordance with Health and Human Services Regulations for Protection of Human Subjects (45 CFR 46), an Institutional Review Board (IRB) composed of members from a variety of scientific disciplines and individuals from the community, assists investigators in the protection of the rights and welfare of human subjects. The University of Nebraska Medical Center (UNMC) IRB was established to assure the protection of all human subjects in research projects conducted by anyone on the premises of UNMC, Nebraska Medicine, Nebraska Medicine - Bellevue, Children’s Hospital & Medical Center (CH&MC), and the University of Nebraska at Omaha (UNO). In addition, the IRB has oversight for all research that is conducted elsewhere by faculty, students, staff, or other representatives of these institutions. The IRB also serves to facilitate valuable human subject research, as well as, protect the investigator and the institutions through a comprehensive review process. All human subject research projects must be reviewed and approved by the IRB prior to initiation and then conducted in full compliance with the federal regulations and institutional policies. The IRB is launching a monthly training for investigators, coordinators, students, or anyone who needs education on regulatory processes at UNMC.